If you put a lot of miles under your tires during a long daily commute or through plenty of road trips, a hybrid could help to save on fuel costs keeping more money in your pocket for other monthly expenses. Savvy car shoppers interested in additional savings may also be interested in purchasing a used hybrid like the Toyota Prius to save even more money right off of the bat. The Toyota brand is known for its reliability making a used Toyota purchase a great investment. At Serra Toyota, we offer a variety of used models from various brands in addition to our regular new Toyota inventory. Car shoppers interested in a pre-owned hybrid like the Toyota Prius can regularly find options available on our lot in Birmingham, AL.  See which used Toyota Prius models we have currently in stock by visiting our online inventory pages linked below. 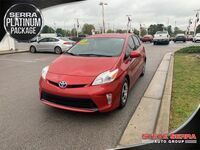 Once you find a used Toyota Prius model you like, our team can help you set up a test drive appointment to see what it’s made of from behind the wheel. Setting up an appointment is easy. Customers who visit our lot in person can connect with one of our sales team members during normal business hours and customers who choose to browse online can give us a call at 205-847-1841 or use our online scheduling tool to set something up at a convenient time. During the test drive appointment, someone from our team will be available to answer any questions you may have and can walk you through the financing and purchasing options available to you at Serra Toyota. We are also happy to work with you on setting up an independent inspection at a local mechanic if you desire, so you can feel comfortable that the vehicle of your choice was built to last. Many of our used models also come with a free vehicle history report for additional peace of mind. Stop by our dealership or give us a call today and let us know what we can do to help you get into a new or used vehicle of your dreams. Interested in a Toyota Prius?